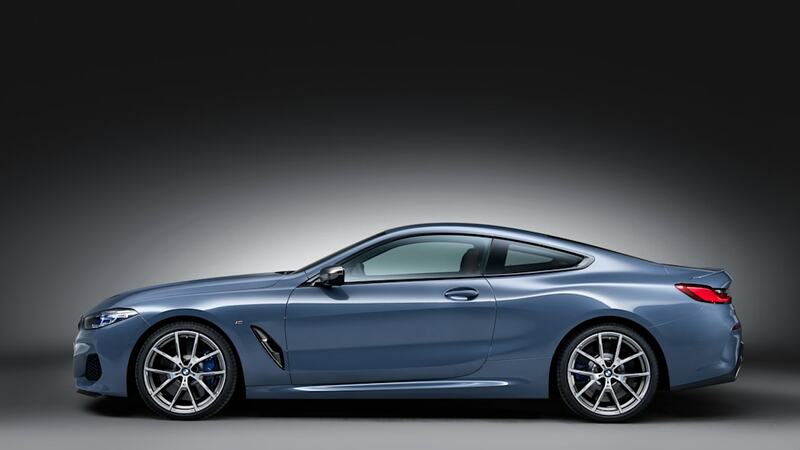 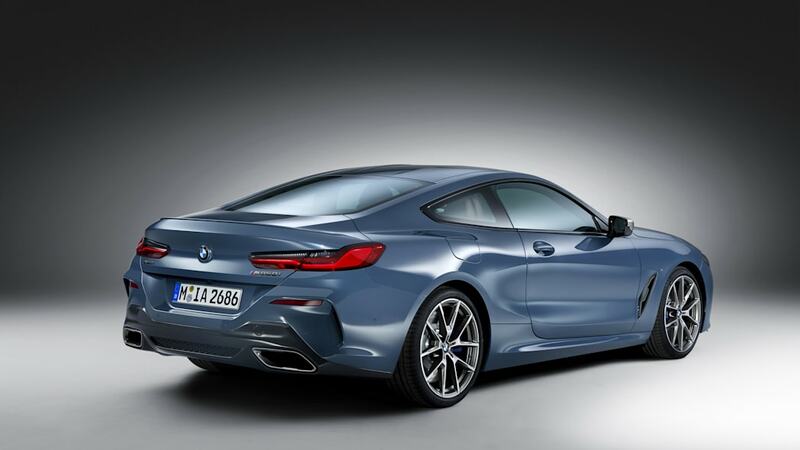 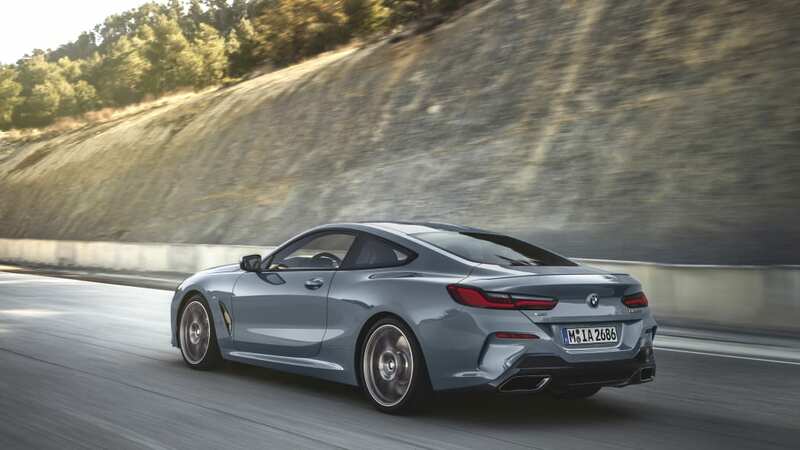 After decades away, BMW has brought back the 8 Series coupe, with sportiness and luxury at the forefront. 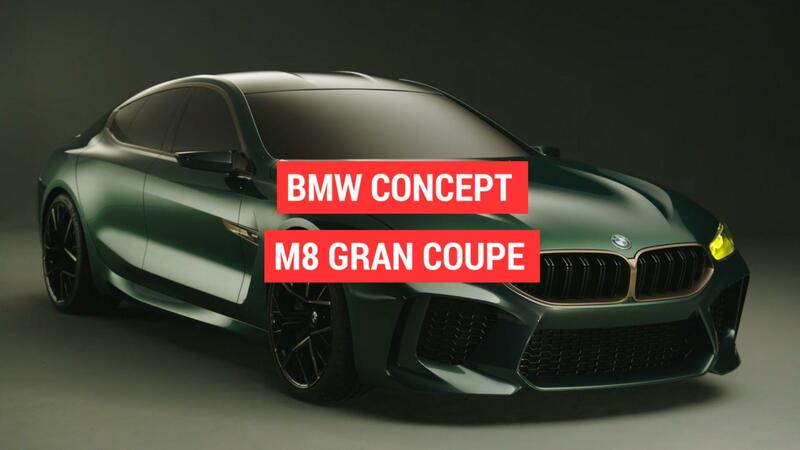 The car has been unveiled to coincide with the 2018 24 Hours of Le Mans race, which takes place this weekend. 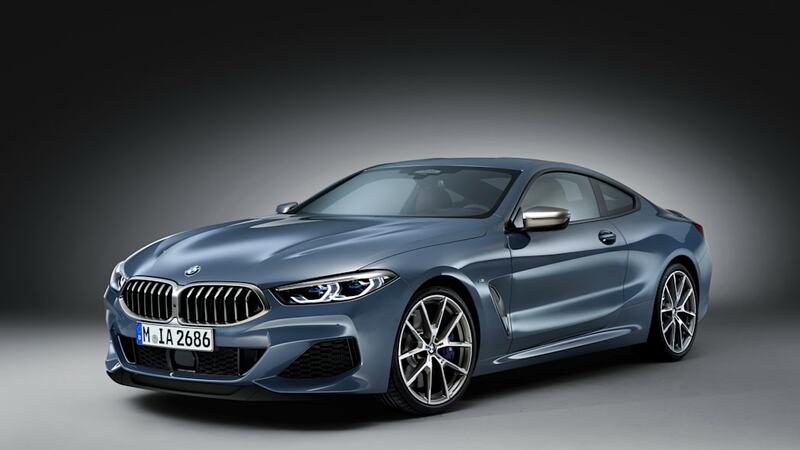 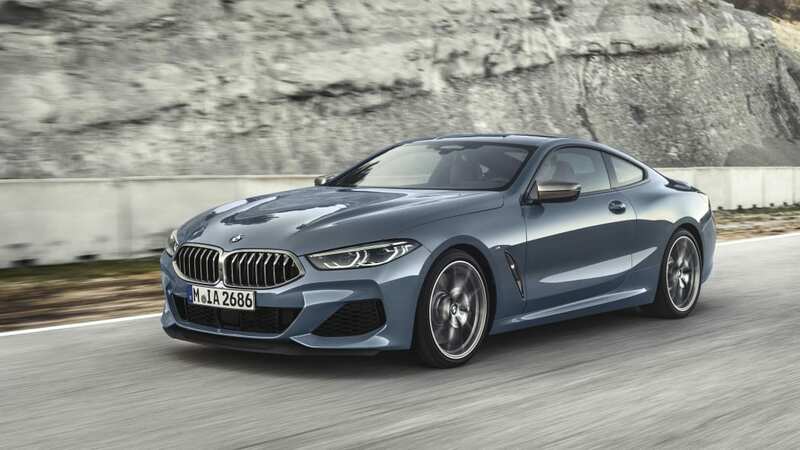 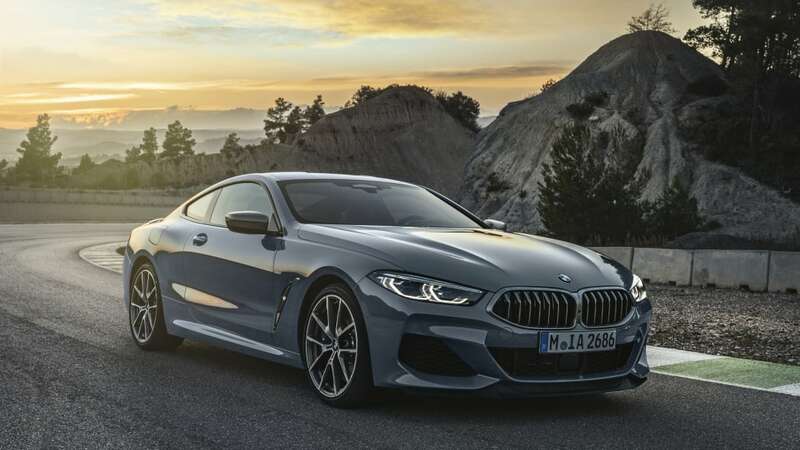 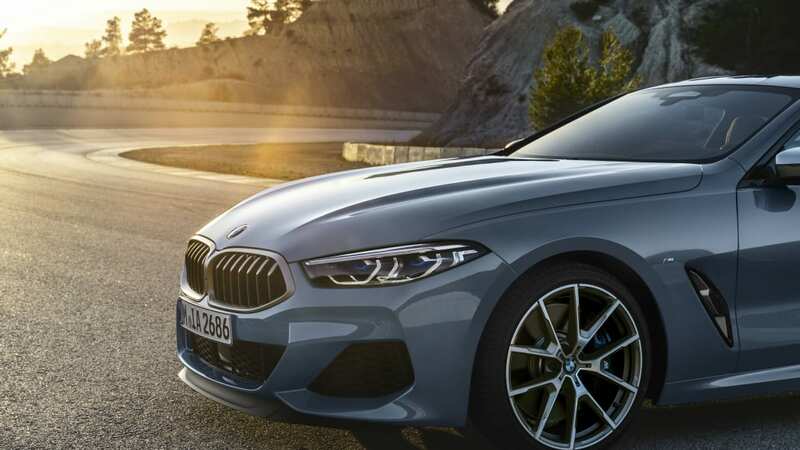 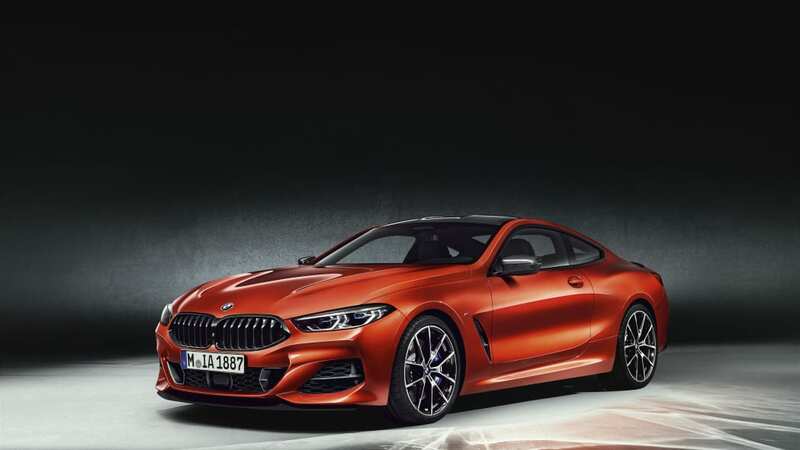 The 8 series launch model is the all-wheel-drive 2019 M850i xDrive. 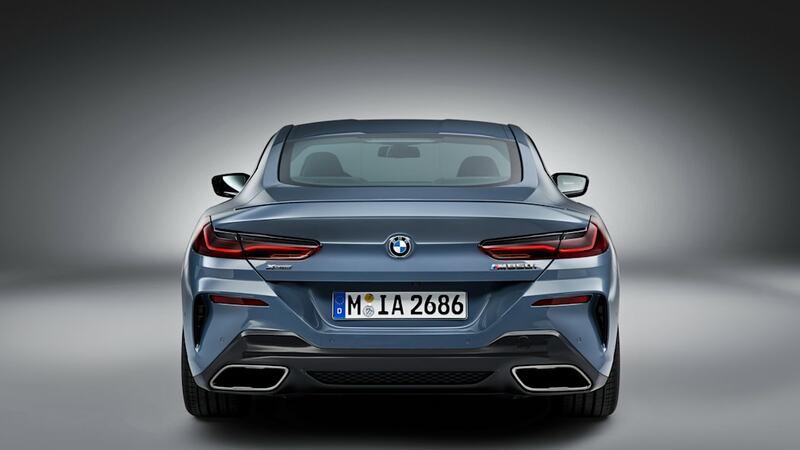 Visually, it's true to the concept. 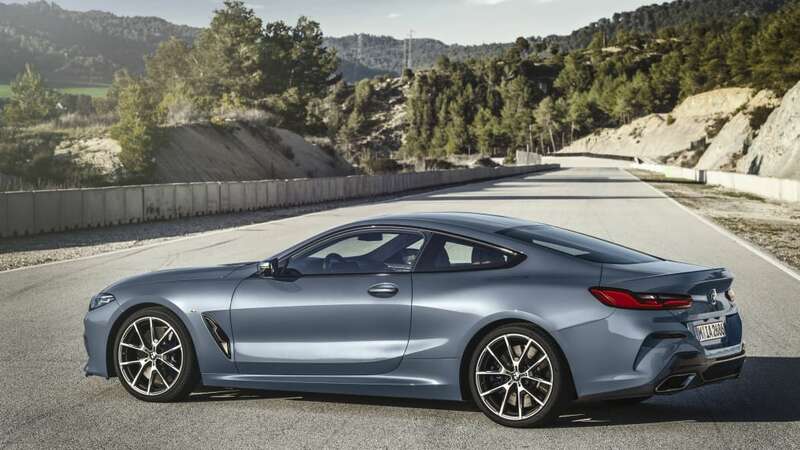 The exterior borrows the stretched look of the old 8 Series coupe, with a long nose, slim A-pillars and low, swept-back roofline. 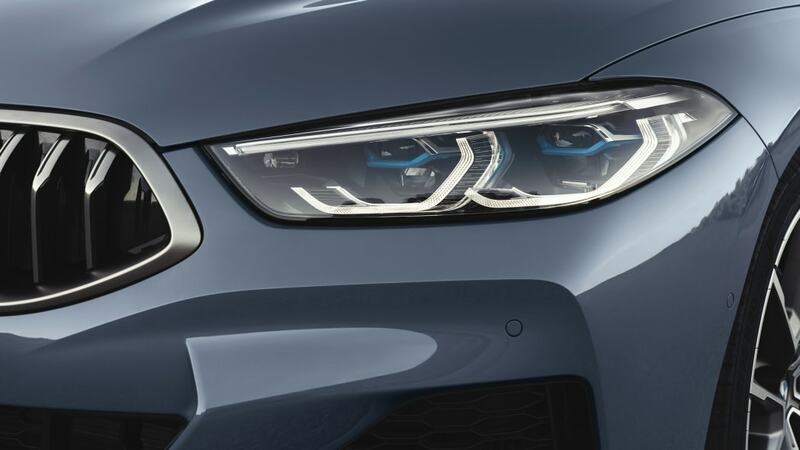 Up front, we see the prominent double kidney grille above large, dramatic air intakes. 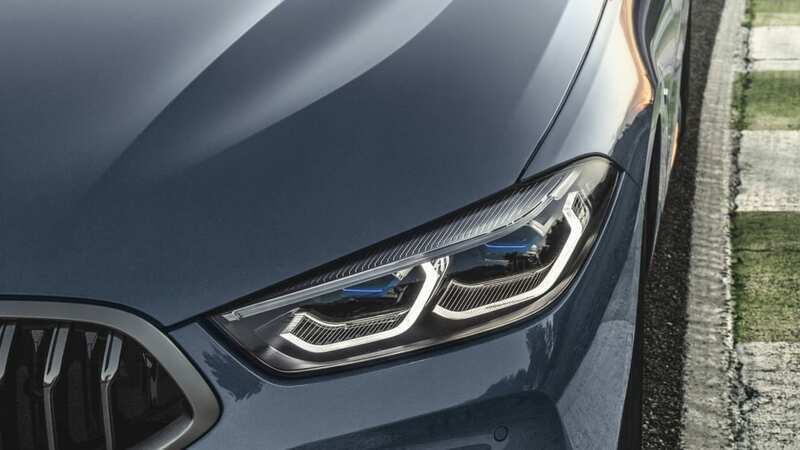 While they don't pop up like the headlights of the old 8 Series, the new car uses standard LED headlights with BMW LaserLight technology, which are the slimmest of any BMW yet. 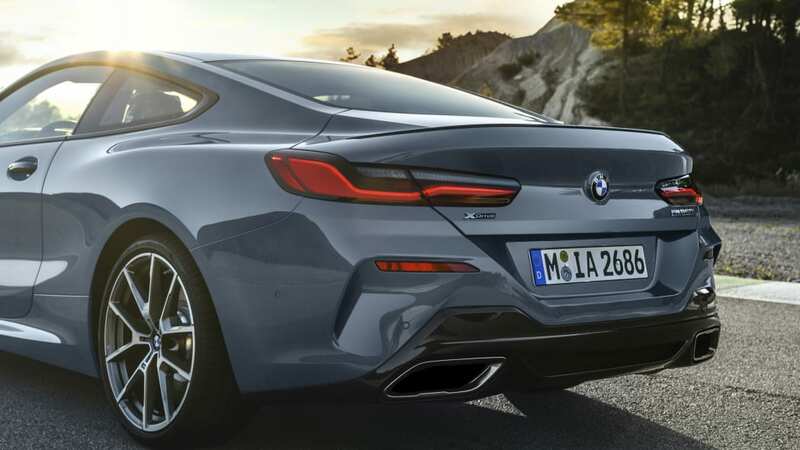 The side profile reveals a long wheelbase and a version of the Hofmeister Kink at the rear of the side windows. 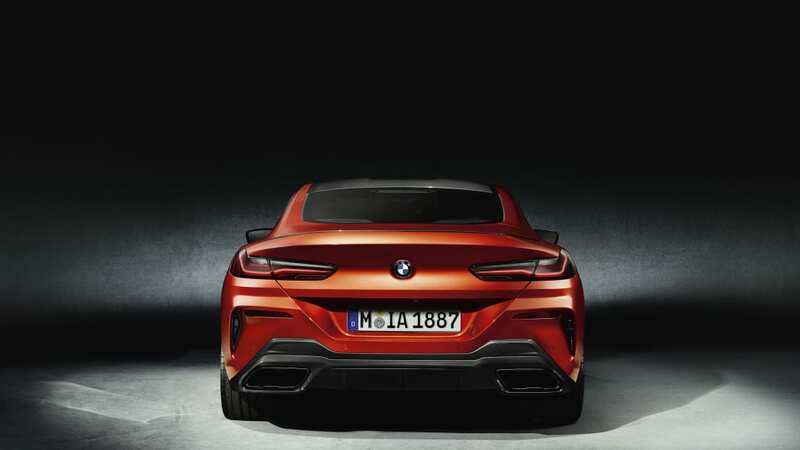 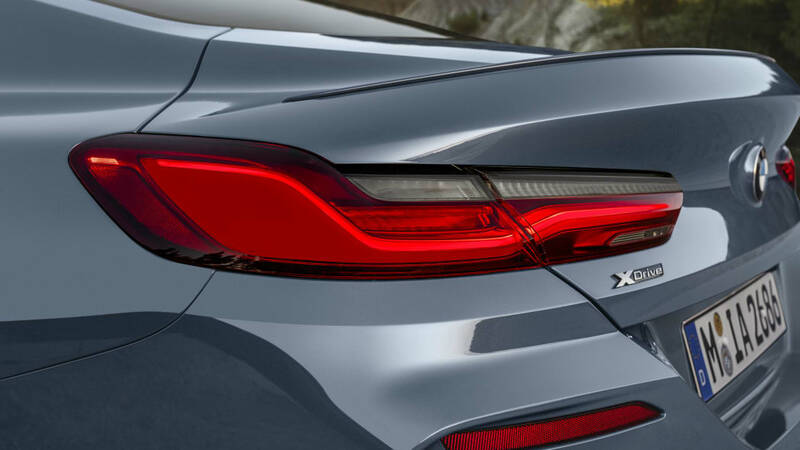 We see another all-LED rear lighting array and twin trapezoidal exhaust. 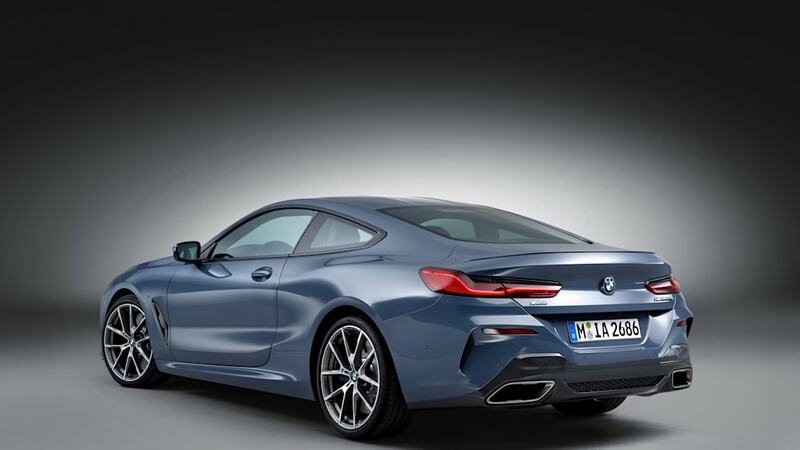 The 8 series will also be offered with an optional carbon fiber roof. 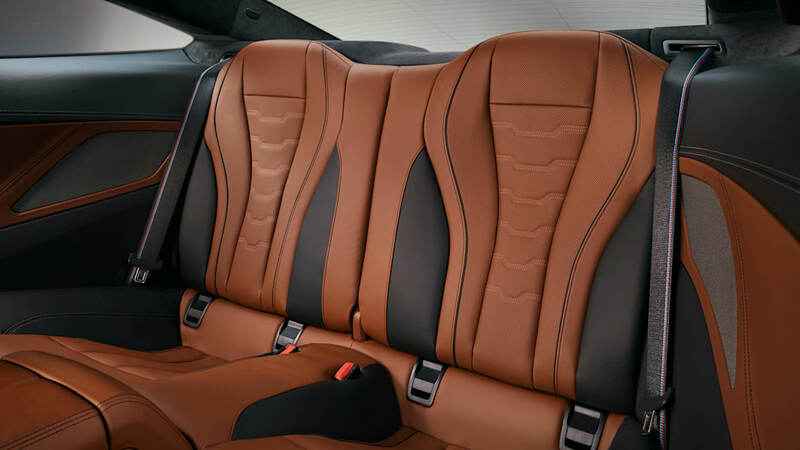 The interior is dedicated to a sporty driving experience. 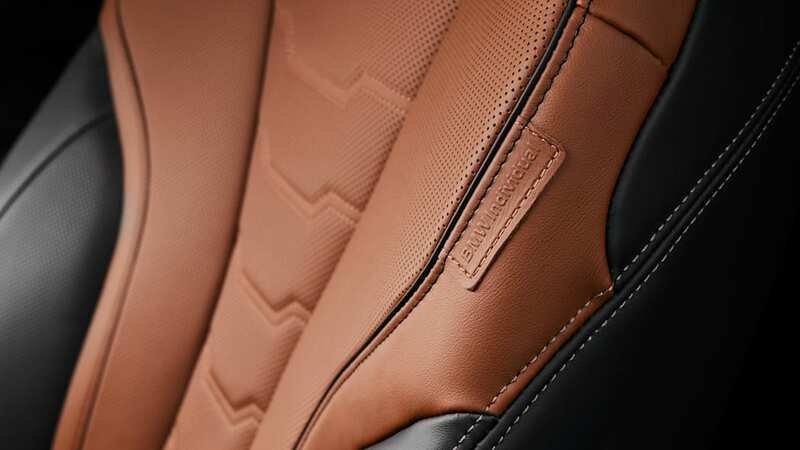 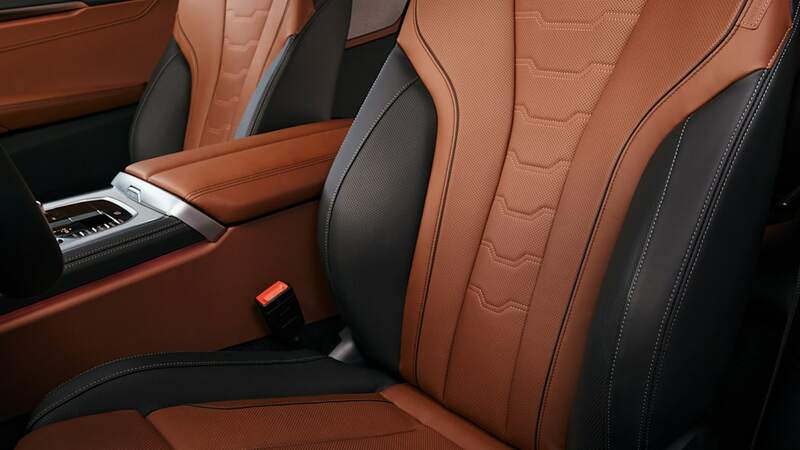 It has new sport seats upholstered in Merino leather. 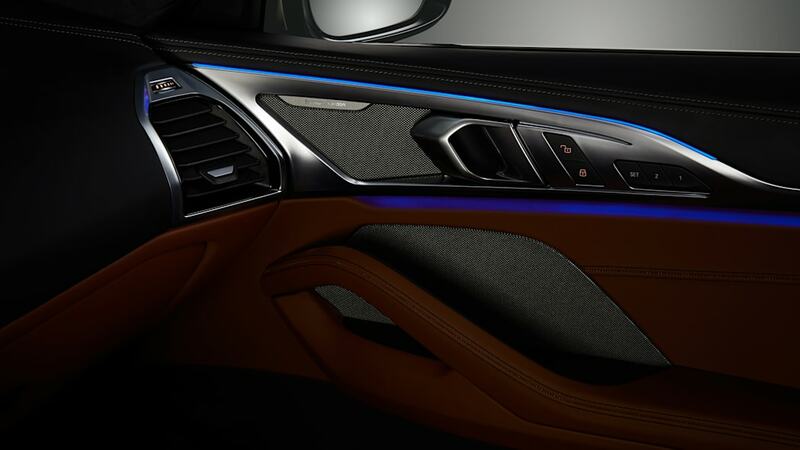 The color of the ambient lighting can be customized in the iDrive menu. 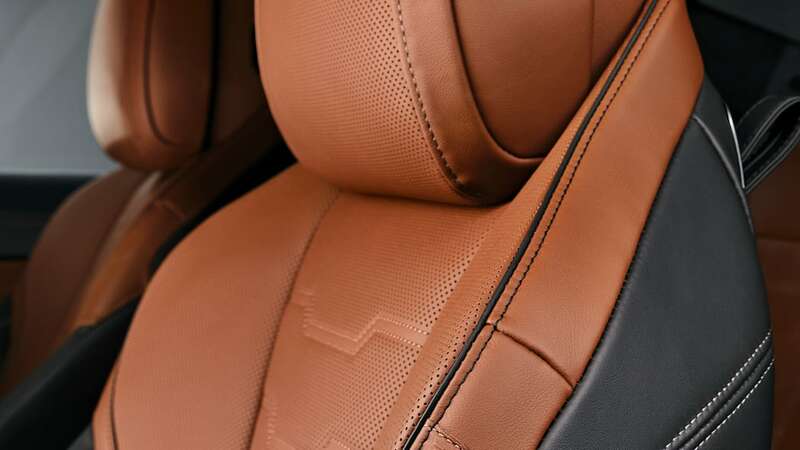 A 16-speaker Harman Kardon sound system is standard. 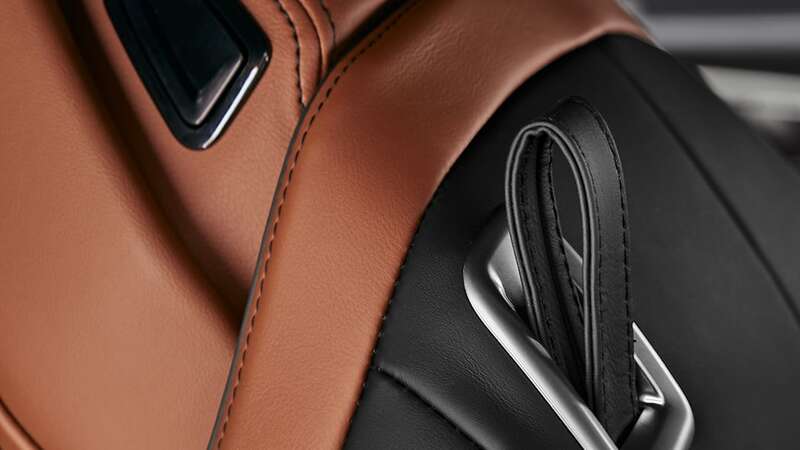 Also on offer is a 1,375-watt Bowers & Wilkins Diamond sound system. 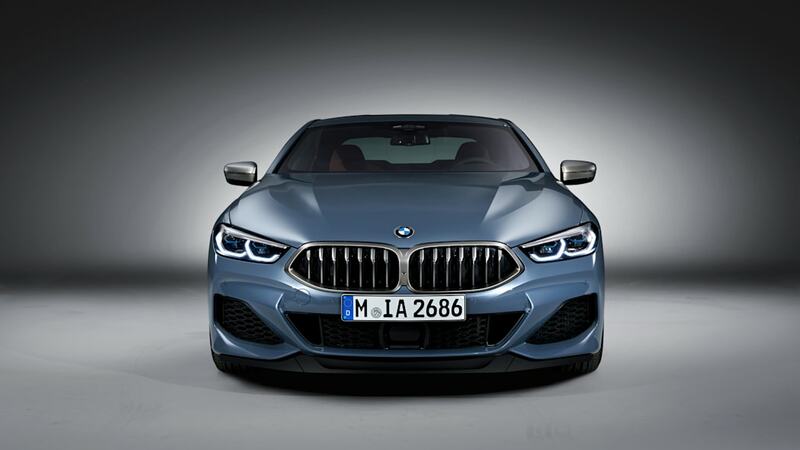 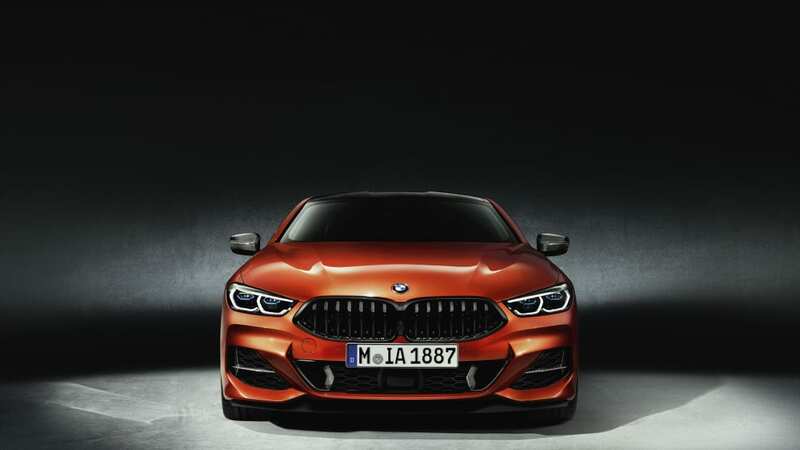 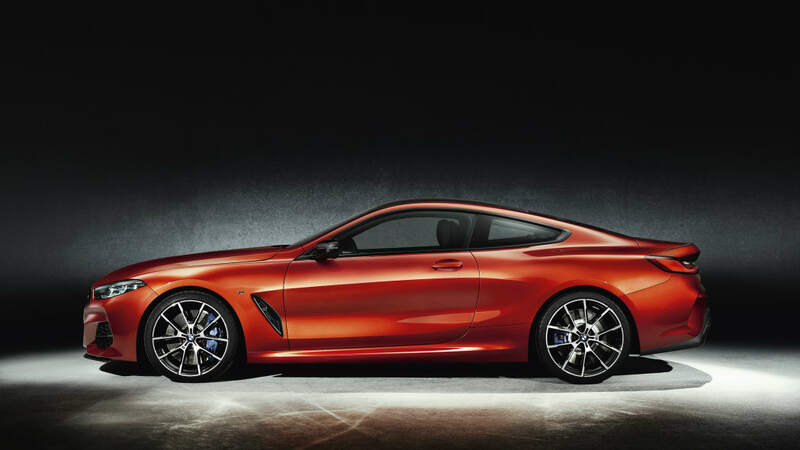 The 8 Series is the first in the BMW lineup to use a new turbocharged 4.4-liter V8. 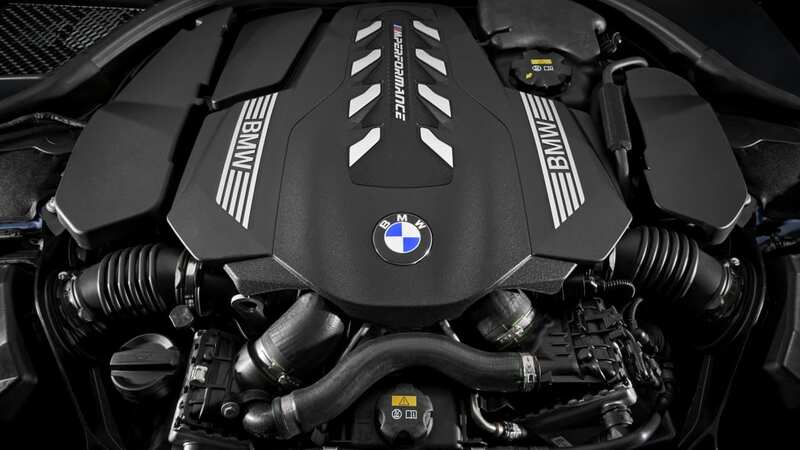 Its TwinPower Turbo system uses two enlarged twin-scroll turbochargers to force air into the engine. 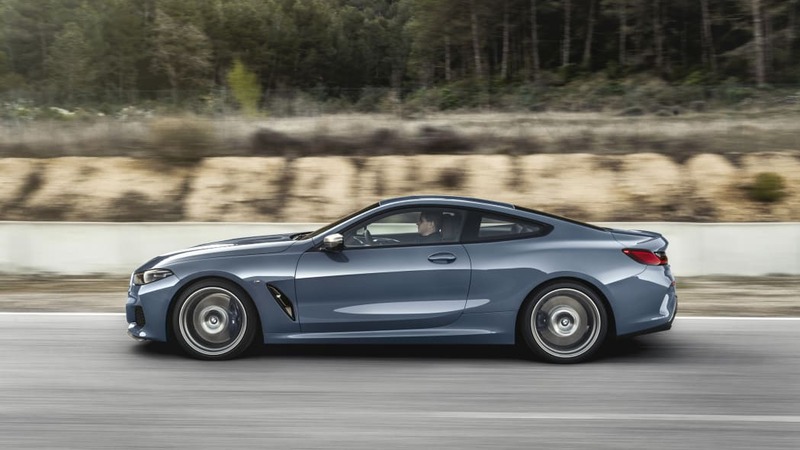 The V8 also employs fully variable valve control and variable camshaft timing in order to maximize power and efficiency. 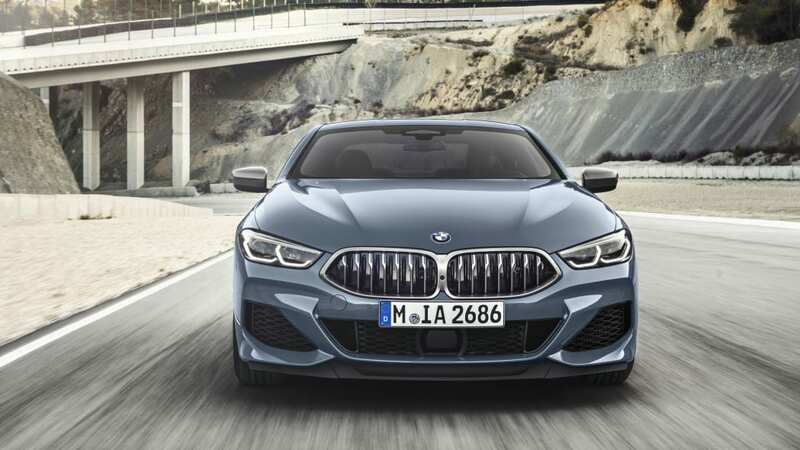 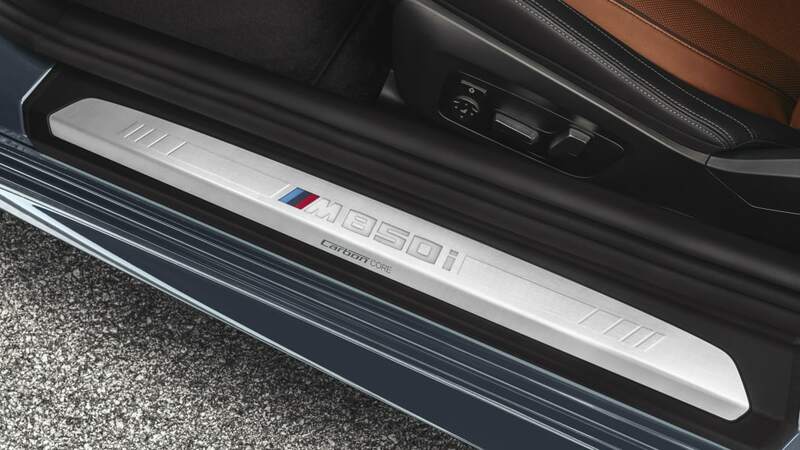 This gives the M850i xDrive 523 horsepower between 5,500 and 6,000 rpm, and 553 pound-feet of torque from 1,800 to 4,600 rpm. 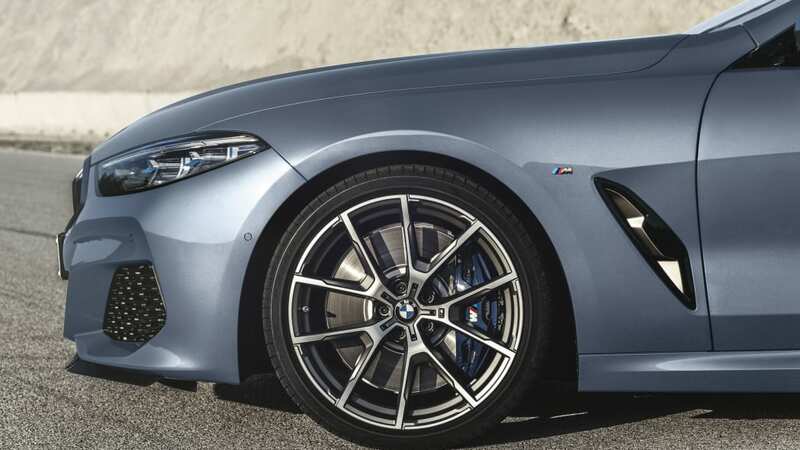 That's put to the wheel via its eight-speed Steptronic Sport transmission with a wider spread of gear ratios. 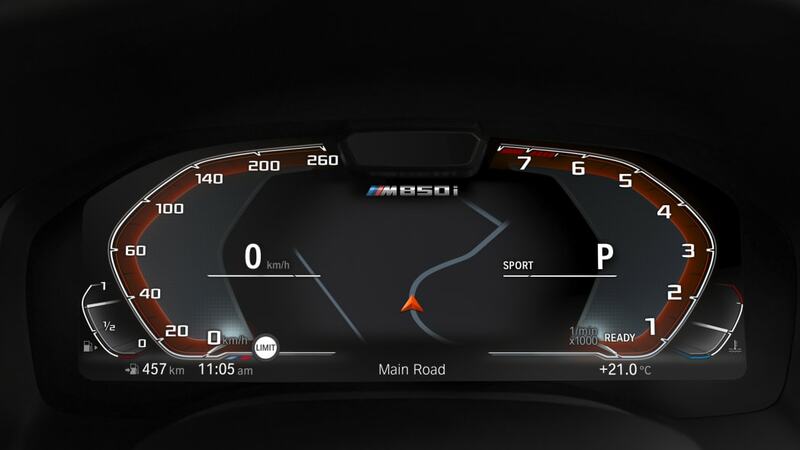 There's also a launch control function. 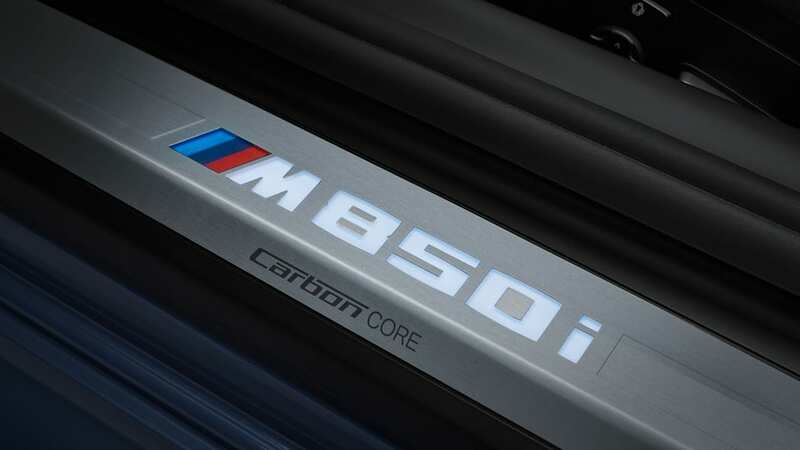 The M850i xDrive will do 0-60 in a swift 3.6 seconds, and max out at a top speed of 155 miles per hour. 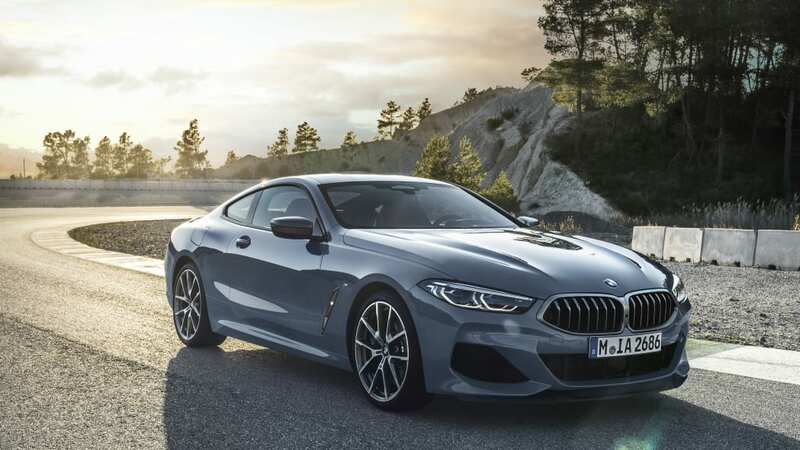 The car offers a number of drive settings, including Comfort, Sport, Sport+ and Eco Pro modes to tailor the driving experience to the pilot's whims and needs. 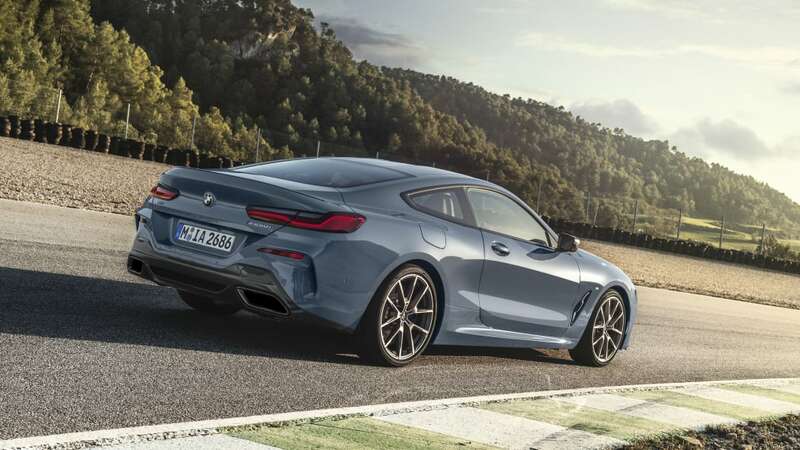 The Sport modes govern not just accelerator response and power delivery, but also the sound of the standard flap-controlled exhaust. 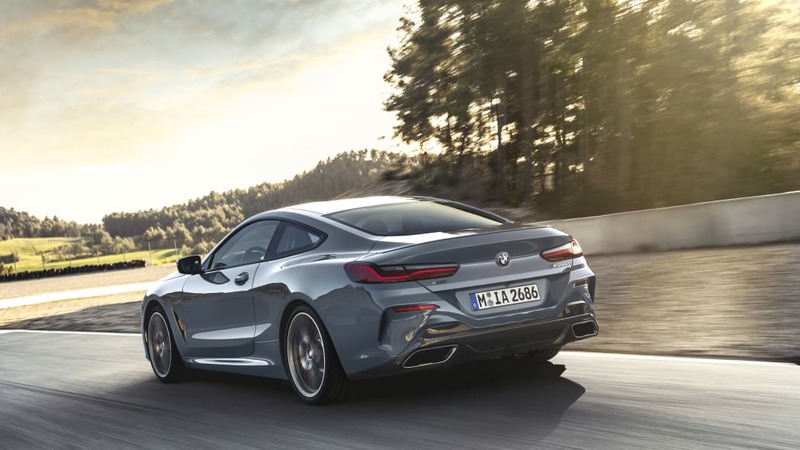 As for efficiency, the 8 Series can use the route from the navigation system to plan transmission behavior — engine braking, avoiding unnecessary downshifts through corners, etc. 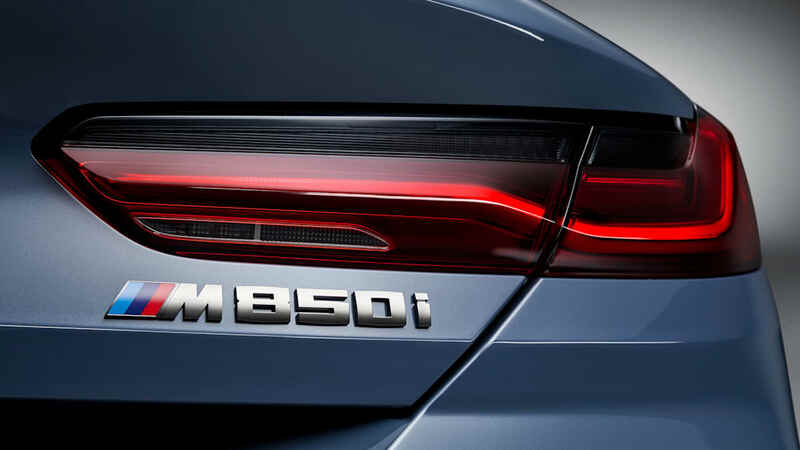 — to save fuel. 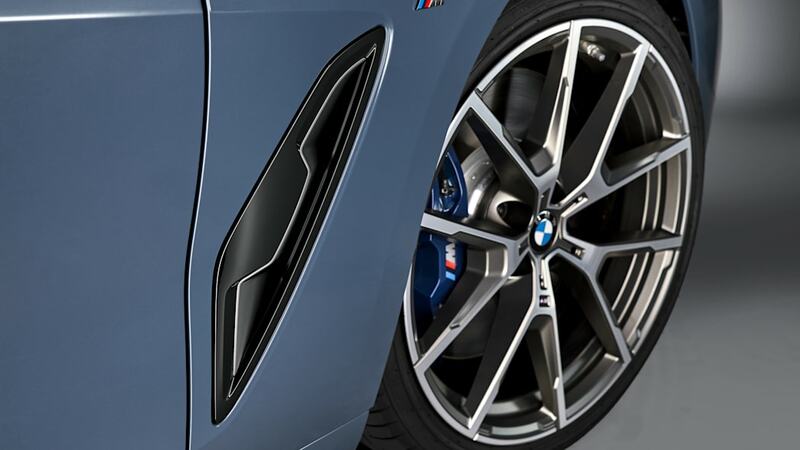 The off-throttle coasting function decouples the powertrain in certain situations. 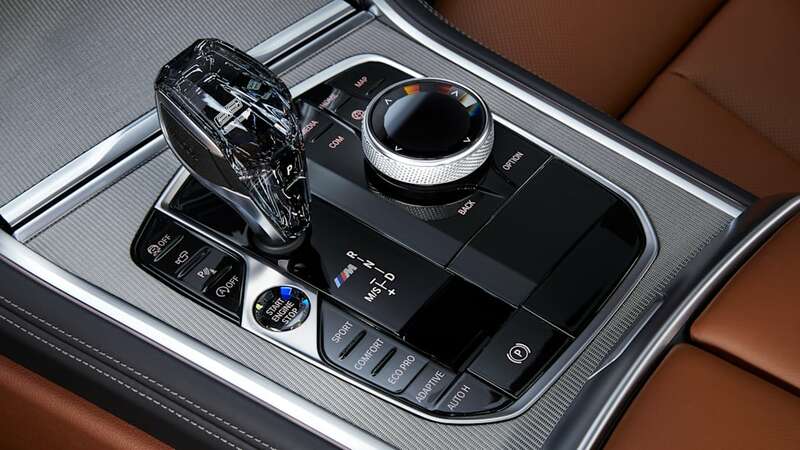 The car is also equipped with an automatic stop-start system. 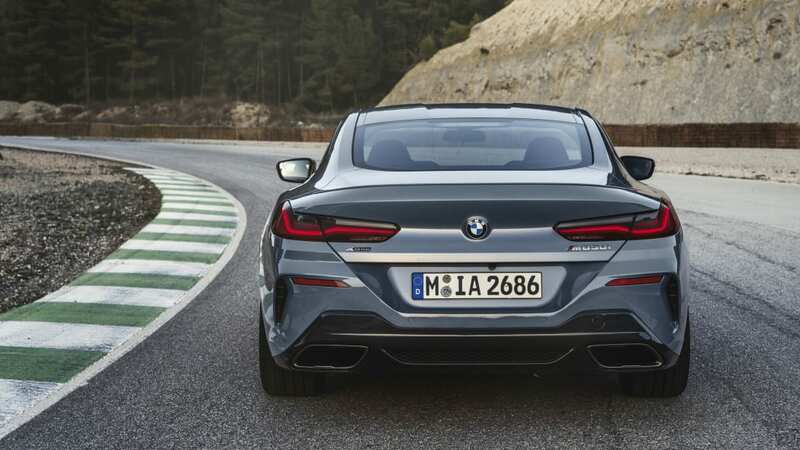 The 8 Series' suspension uses a double-wishbone setup up front and a five-link axle in the rear. 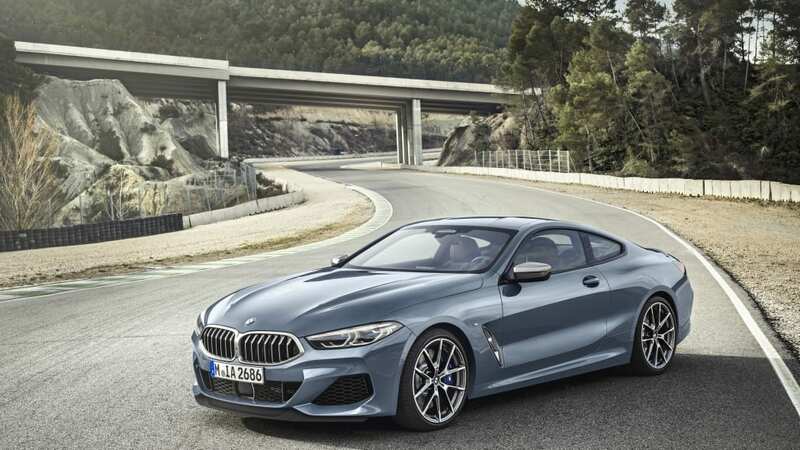 BMW says it used knowledge gained through racing experience to tune it for maximum performance in the corners without sacrificing comfort. 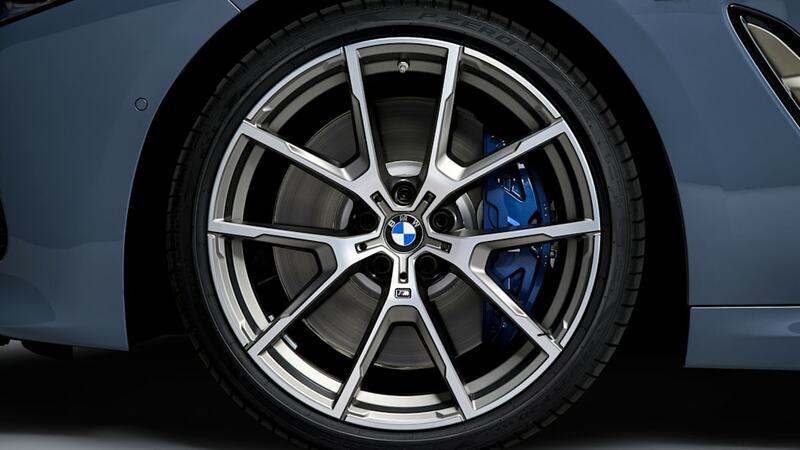 The suspension separates steering and damper functions, meaning the steering is less affected by uneven road surfaces. 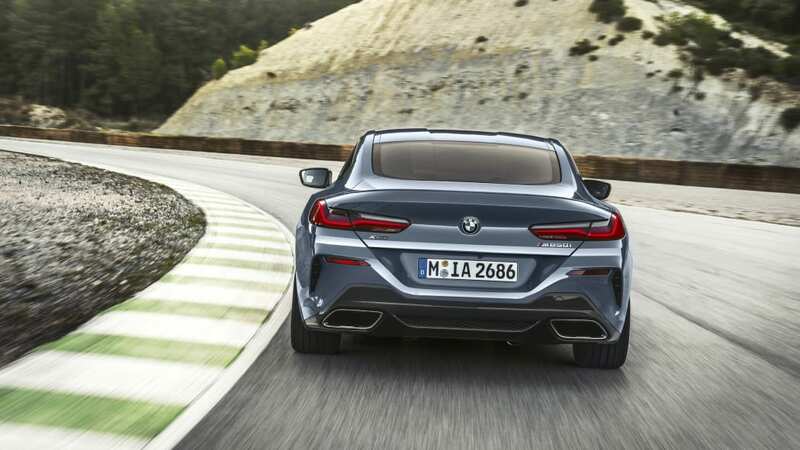 Also, in terms of steering, the ratio becomes more direct with speed, and rear-wheel steering makes the car more maneuverable. 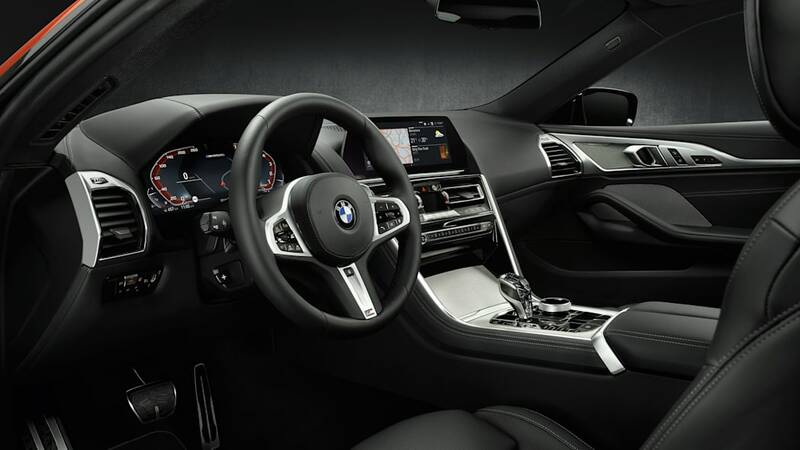 The 8 Series uses technology to provide convenience and safety. 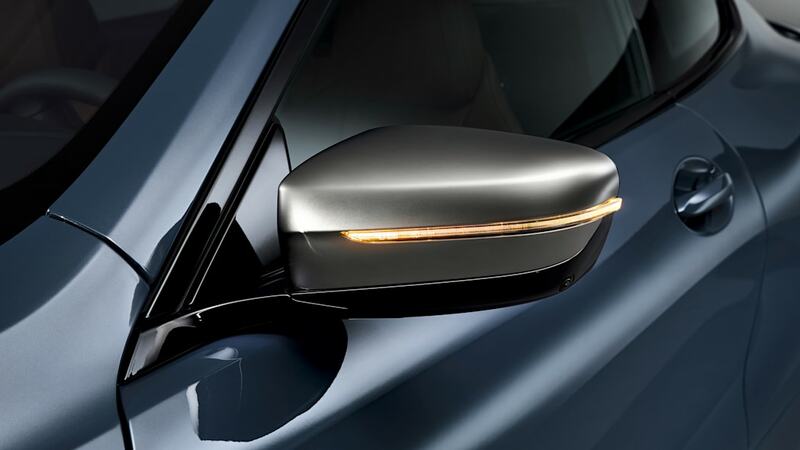 It has a head-up display to keep your eyes on the road. 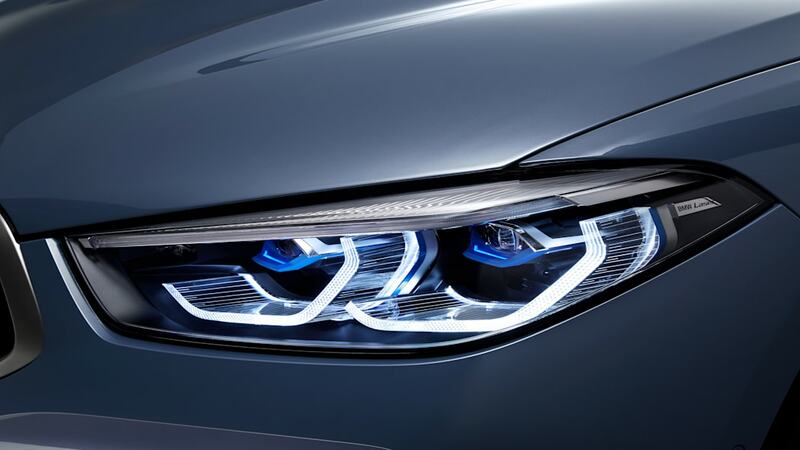 An optional night vision system to help see persons, larger animals and other heat-emitting objects, which are shown on the control display and automatically receive additional lighting from the headlights. 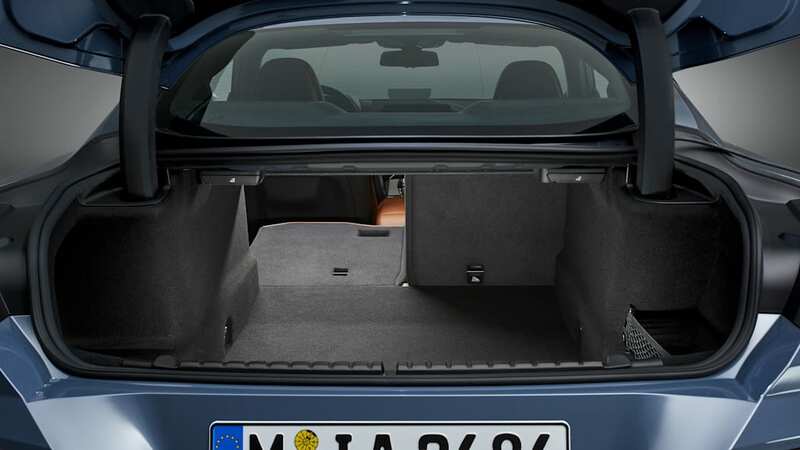 The Parking Assistant helps identify and maneuver the car into parking spaces. 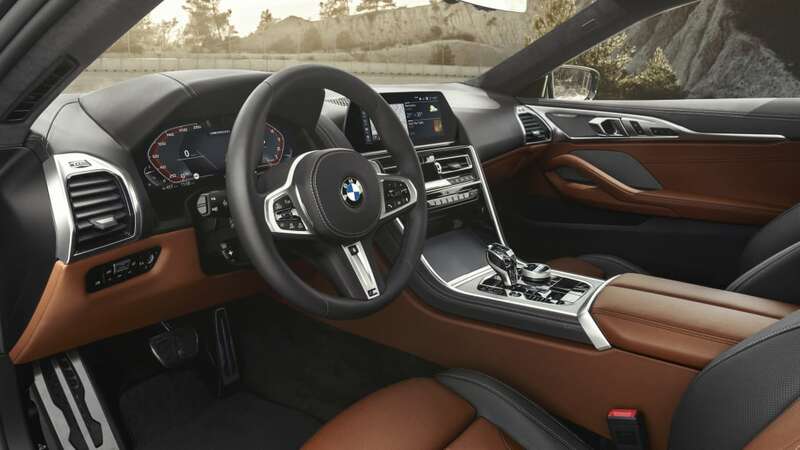 BMW also offers Apple Carplay, Android Auto, and the BMW Connected app to control certain functions and check status remotely. 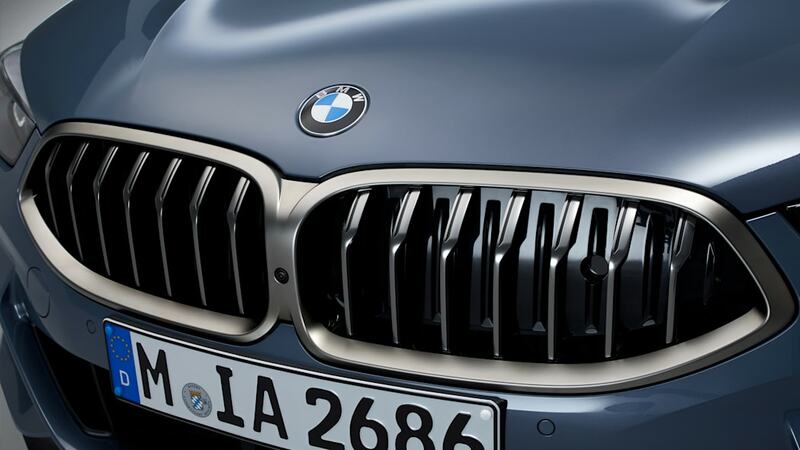 Digital Key technology allows owners to lock and unlock the car with a smartphone. 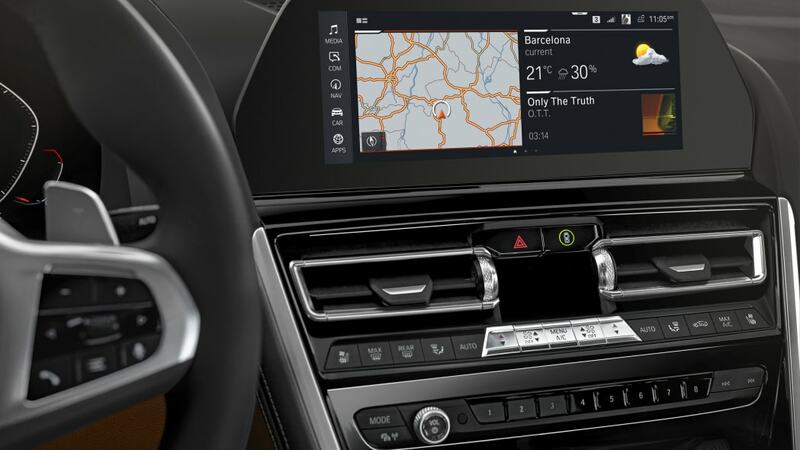 The 8 Series can also receive over-the-air updates as needed. 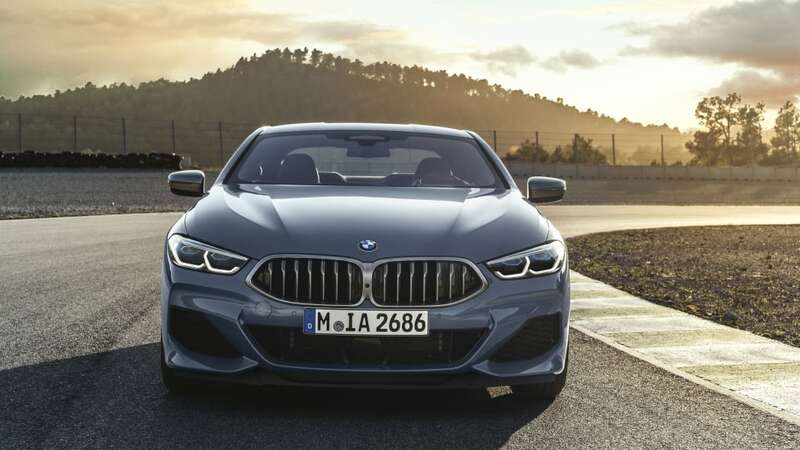 BMW has not yet announced pricing for the new 8 Series, but says it will release that information closer to when it goes on sale this fall.